Hougang United – Etoile brawl: Why has Aide not been able to control his Cheetahs this season? IT WAS a fight that was waiting to happen. That was how the football fraternity viewed Monday night’s pre-match brawl between Hougang United and Etoile FC which saw four people seek treatment at a hospital and further tarnished the reputation of the S-League. While shocked by the disgraceful scenes at Hougang Stadium, observers were not surprised that the fracas involved the home side – the team with the league’s worst disciplinary record – and Etoile – the much-maligned defending champions from France. There is no love lost between them. At their last encounter in March, both sets of players squared off after the final whistle, before being separated by officials. ‘The pre-match security should be tightened for matches which have potential for trouble,’ said a seasoned S-League observer. Hougang, known as the Cheetahs, have acquired a reputation for being one of the league’s most physical sides. 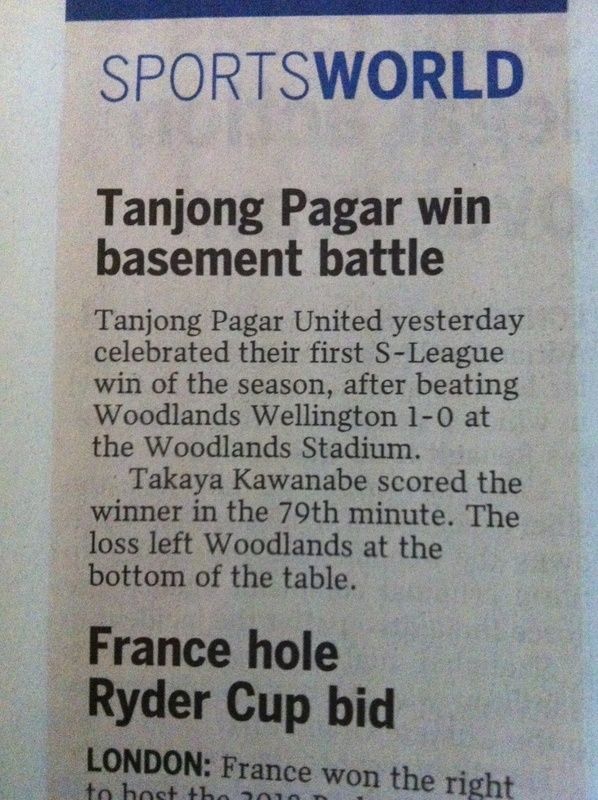 ‘They are the roughest team we’ve had to play against,’ said the coach of a local S-League club who did not want to be named. Hougang are currently bottom of the disciplinary charts, having received 42 yellow cards and two red cards in 14 matches. The best-behaved team, Albirex Niigata of Japan, have collected just 11 yellows. Woodlands Wellington defender Graham Tatters, who has faced Hougang twice this season, conceded there were a few ‘hot heads’ in the Cheetahs’ squad. ‘But it’s the same in any other team,’ he added. ‘Something must have triggered the fight. Etoile, who revamped their squad after last season’s title-winning exploits, have tended to attract trouble. Local players say the French side come across as cocky, and win few friends with their on-field theatrics. But the sentiment in the Etoile camp is that they have been unfairly singled out for rough treatment. Matters almost came to a boil last October, when a match against Singapore Armed Forces FC nearly ended in a free for all. SAFFC’s Federico Martinez had celebrated a goal by mimicking a cockerel – the national symbol of France – sparking angry reactions from the French players. 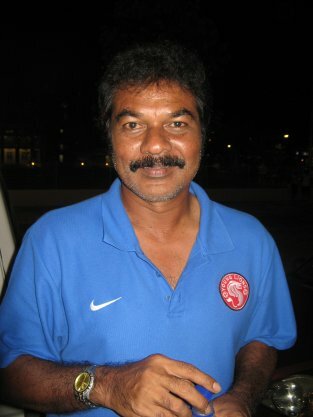 Woodlands coach R. Balasubramaniam, who was Etoile’s team manager last season, says they are a misunderstood side. There’s a reason why I’ve highlighted parts of the report. I am surprised to be reading all these assertions and claims about Hougang United simply because of who they have as their coach. During his time as a player with Home United and the Lions, Aide Iskandar was undoubtedly one of the most respected men on the field. He exuded calmness, leadership (he was captain for club and country), he was a clean player and as captain and one of the most senior players in his teams, he also ensured discipline among the players. Which is why I am surprised to be reading all these negative observations about Hougang. The fact that they came from various people just shows that this is a commonly-held view of the Cheetahs. And the stats don’t lie: 42 yellow cards and two red cards in just 14 matches. That’s an average of three yellows per game so far. Which begs the question? Why has Aide not been able to assert his authority as a coach and maintain a tight rein on his players’ discipline? Why have Hougang United turned out like this? Has player power to do with this? Are the hotheads in the team exerting player power? Just wondering if anyone out there is able to help shed some light on this. All feedback are welcome. Then again, maybe this current situation is the club’s perfect opportunity to axe the trouble-makers? That would be a blessing in disguise.